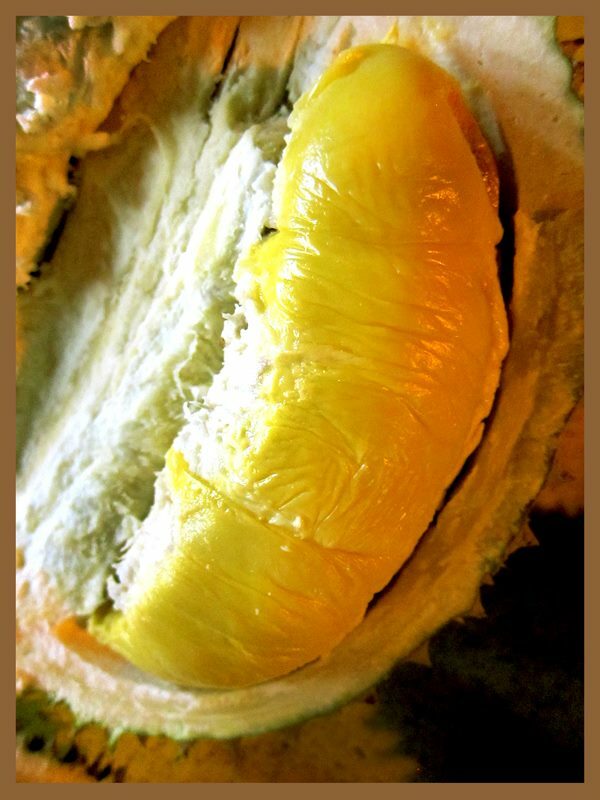 Durian - love it, hate it - the only fruit that is banned on Singapore public transports - buses & trains & airplanes. Durian is famous for it's pungent odour (just imagine the smell of gas out of the gas cylinder). 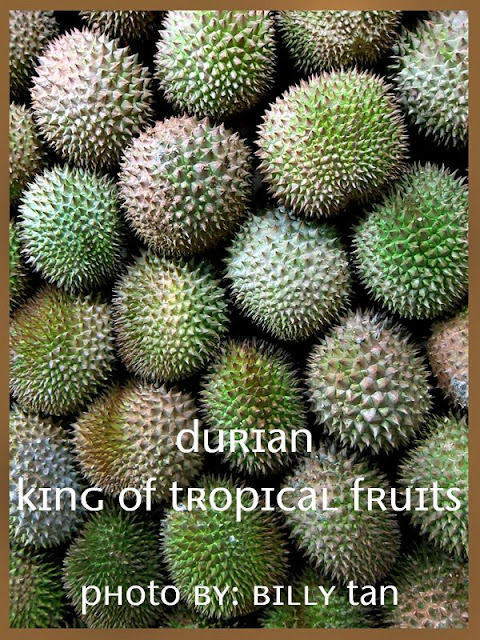 One wonders how this fruit was crowned the "King of Tropical Fruits"? Maybe it can easily knock out any Westerners within 1 meter.